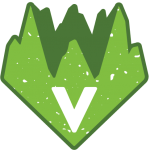 WVA is Clean Green Certified! In order to show you how devoted we are to clean practices, we want you to know that we are the world’s first Clean Green Certified Hydrocarbon Processors! That means we are working at the highest sustainable agricultural standard for cannabis. Clean Green Certified is nationally recognized as the #1 certifier for cannabis cultivated sustainably and was created for legal cannabis companies to regulate organically based practices. Here at Willamette Valley Alchemy we believe in keeping the Earth and our products clean and green. We believe in sustainable business and lifestyle. Our company is based in one of the most beautiful and fertile valleys on the West Coast. It is part of our mission to protect it. Our company takes steps to ensure that our processes and production are not negatively affecting the environment. To be Clean Green Certified, we passed a records review of our operation to ensure the use of only allowed materials. We also passed an on-site inspection to verify that our processing and handling methods are clean. That means our customers can enjoy our products knowing that they are of the highest and cleanest quality. “Whether it be a store-front or a cannabis concentrate company, certification audits the processor/handler’s ability to keep Clean Green cannabis separate from cannabis grown conventionally. A consumer can have greater confidence when buying cannabis or a cannabis product from a Clean Green Certified outlet that it was grown fair-trade and sustainably, without the use of synthetic pesticides,” taken from the Clean Green website. Our products start with finding the best producers. We are proud to work with like-minded Clean Green Certified farms who also implement the highest degree of sustainability into their growing practices, like our friends Yerba Buena and 7 Points. Stoner Mag wrote, “Yerba Buena is paving the way for sustainable, ethical practices in the industry.’There are no standards for best practices right now in this industry so we have to make our own. We are making them as high as possible. Because why not? We can.’ –Laura Day Rivero, Yerba Buena Operations Manager.” We love that, Laura! It is up to us to be the best we can be. 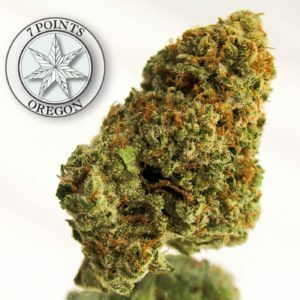 “7 Points Oregon prides itself on striving to grow some of the cleanest and most flavorful cannabis possible. This process has led us to a style of growing called Veganics. This is a organic method of cultivation using only plant based nutrients and compost teas. This provides nutrition to the plant very quickly, leaving behind little residue. In our experience, this style of growing allows us to maintain our focus on organic process while also developing a wonderful terpene profile and creating an amazingly clean smelling and tasting product,” taken from Leafly. Clean flowers make clean extracts! Our extracts stand out because they are made from the best buds we can find. Our processing standards are unmatched. The quality speaks for itself, Oregon grown and Oregon made. As the first Clean Green Certified Hydrocarbon Processors, we believe it is important to be positive role models in our community. We invite you to join us in our mission to keep Oregon and the Earth green! There are several ways you can make a difference. We believe one of the best ways is to just get outside and enjoy the beauty around you. Share your experience. Be bold. Show others that you care about the environment! Inspire others to do the same. While you’re at it, start your journey with some of our edible gummy Retreats. They are the perfect addition to an epic day outdoors, and sure to help you achieve a greater appreciation for this great, big, beautiful Earth. Share your experience with #startyourjourney to inspire others about environmental consideration! Tag @retreats_wva to show us where you find natural beauty. 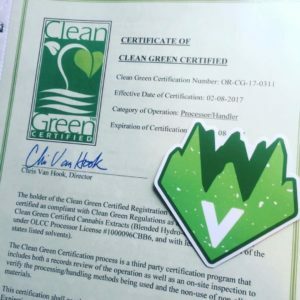 Being Clean Green Certified is only a small part of how we try to make a difference here at WVA. It is important to us and to our community. We hope that you also find ways to live sustainably and make a difference in your own life and your community. We’re all in this together. Find our listed clean green certification here.